On Sunday we sang Many Years for Archimandrite Kyril for the 41st anniversary of his ordination. This Sunday we celebrate the restoration of the painting and honouring of icons following the decision of the Seventh Ecumenical Council to condemn the iconoclast movement as contrary to the orthodox Christian belief in the Incarnation of Christ: Christ took on material form, therefore we can use material form to depict Christ. 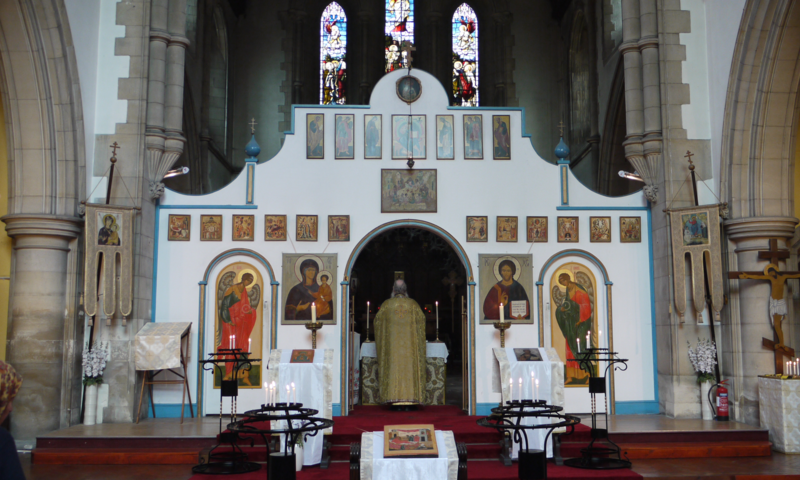 The Children will make a procession round the church after the Divine Liturgy holding icons. If your child wants to take part please bring an icon if you can. We thank You, Lord Jesus Christ, for You have led us to this present time of fasting towards salvation. We thank You, for You have arranged to heal the great wounds of our souls in this short time, and to effect the rejection of our many sins. Good Master, we implore You, remove from us hypocrisy in fasting, and banish all false sadness. Drive from us pride in our self-moderation and self-denial in deed, word or thought. Fill us with light and truth as You prescribed. Strengthen us in the struggle against passions and in the war against sin. Through alienation from passions prepare us to follow You. By fasting You have shown us the way to victory over the Devil, and how to partake in Your death and Resurrection, and to rejoice in eternal joy, which You have prepared for those who hunger and thirst for Your righteousness. For You are the God of mercy, and to You is due glory, together with the Father, and Your all-holy, good, and life-creating Spirit, now and ever and unto ages of ages.